Two technology association—SITE and ITEEA—and two mathematics education associations—AMTE and NCTM—recently began a joint exploration of methods for identifying natural connections between mathematics and engineering design in the elementary curriculum. The working notes that follow offer a preliminary consideration of methods for employing an emergent technology—digital fabrication—as a mechanism for integrating the STEM disciplines in elementary classrooms and children’s engineering as a pedagogical approach for doing so. Personal digital fabrication may lie at the heart of the next technological revolution. It can allow young people to create, build, and invent in the context of engineering design. However, successful implementation in schools will require thoughtful integration with the existing curriculum. Berry, R.Q., Bull, G., Browning, C., Thomas, C.D., Starkweather, G. & Aylor, J. (2010). Use of Digital Fabrication to Incorporate Engineering Design Principles in Elementary Mathematics Education. 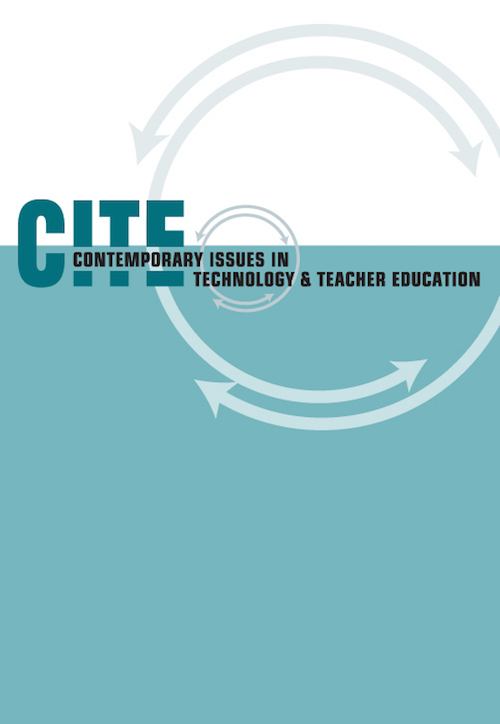 Contemporary Issues in Technology and Teacher Education, 10 (2), 167-172. Waynesville, NC USA: Society for Information Technology & Teacher Education. Retrieved April 24, 2019 from https://www.learntechlib.org/primary/p/35289/. Bull, G., & Groves, J. (2009). The democratization of production. Learning and Leading with Technology, 37(3), 36-37. Burghardt, D., & Hacker, M. (2008, October). Development of a math infusion model for middle school engineering/technology education. Paper presented at the 38th ASEE/IEEE Frontiers in Education Conference, Saratoga, NY. Eisenberg, M., & Buechley, L. (2008). Pervasive fabrication: Making construction ubiquitous. Education Journal of Software, 3(4), 62-68. Katehi, L., Pearson, G., & Feder, M. (2009). Engineering in K-12 Education. Washington, DC: The National Academies Press. Koch, J., & Burghardt, D. (2002). Design technology in the elementary school: A study of teacher action research. Journal of Technology Education, 13, 2. National Council of Teachers of Mathematics. (2006). Curriculum focal points for prekindergarten through Grade 8 mathematics. Reston, VA: Author.